iPad 3 Review: Does It Measure up to the Hype? Editor's note: This iPad has been discontinued. We have a new article that stays up to date on the latest iPad models and it will allow you to see which iPads are currently for sale. The article below is our review from when the iPad 3 was new (in the spring of 2012). The 3rd generation iPad represents both the best upgrade to the iPad since its release and its most disappointing upgrade. How can it be both disappointing and the best upgrade? The new iPad holds this contradictory position because its best feature -- the 2,048 x 1,536 "Retina Display" -- won't be readily apparent when you initially pick up the new iPad. In fact, even when holding an "iPad 3" side-by-side with an iPad 2, most people won't notice the difference. This is because the iPad 3 requires the app to support Retina Display graphics, otherwise, it is still just a 1,024 x 768 display. And because the iPad was just released, most apps don't support the new display. But make no mistake: this is the best upgrade to the iPad since its release. Perhaps the most difficult obstacle to overcome when reviewing the iPad 3 -- or any product that is an upgrade to an existing product -- is how to balance the review between being a review of the product itself and being a review of the upgraded features. Reviewed just by itself, the iPad 3 is an easy 5 stars. After all, the iPad 2 garnered 4 1/2 stars, and the iPad 3 is easily better than the iPad 2. And yet, there is the nagging feeling that more could have been packed into the iPad 3 to blast it into that 5-star space. The 3rd generation iPad is definitely the best tablet on the market. And the new features make it easy to assume the new iPad won't be knocked off that perch until Apple releases a 4th generation iPad. The Retina Display, 4G support and voice dictation for the same $499 entry-level price tag will be too much for Android and Windows-based tablets to compete with and still maintain some level of profitability. Perhaps the best feature of the iPad 3 is how much room it has to grow. Not only did Apple increase the screen's resolution, they also added a quad-core graphics processor to the system-on-a-chip and increased the amount of memory from 512 MB and 1 GB. However, it will take some time to really see these benefits. Even the initial outpouring of Retina Display upgrades we'll see with many of the mainstream apps won't truly hit the potential of the new iPad. In many instances, you won't even be able to see the difference between an app and its Retina Display upgrade. And this shouldn't come as too much of a surprise. Simply upgrading the resolution of the graphics doesn't take advantage of the new power of the quad-core graphics processor in the new iPad. And let's not ignore the upgraded memory. More memory means bigger, more complicated applications, which really means the best is yet to come for the new iPad. The iPad 3 may not have Siri, but for those who find tapping out words using the on-screen keyboard awkward, voice dictation may be one of the most welcomed additions. It is integrated to go alongside the standard keyboard, which means you can use it beyond just email and word processing. Anytime the keyboard is up, you should get the option to use voice dictation, so you can use it with many different apps from setting up a new radio station in Pandora to searching for recipes in Epicurious. And the upgraded back-facing camera not only serves as a pretty good all-purpose camera but erases one of the worst points of the iPad 2. This should really make apps like iPhoto and iMovie that much more useful on the iPad. Let's not forget about 4G LTE compatibility. The iPad can be a great home device, which makes the Wi-Fi-only versions so attractive, but the addition of 4G is a big boost for those who use the iPad while on the go. 4G can download at speeds three times faster than 3G, hitting the 10-12 Mbps range. That's easily enough to stream a high definition video and even act as a hotspot to another device browsing the web. But there's one reason why 4G doesn't take the new iPad over-the-top: it's just too expensive. Sure, you can stream that high-definition movie from Netflix, but if you want to watch Netflix videos on a regular basis, you'll either want to plug into Wi-Fi or expect a rather large bill. Data connections in mobile devices may be getting faster, but they are also getting a lot more expensive thanks to the demise of unlimited bandwidth. In fact, mobile data might be taking text plans place for "biggest ways the major telecom companies rip you off". That doesn't mean you should skip the 4G version of the iPad. It's great to have the ability to go online even if you mainly use the iPad as a home device, but while you are getting all of the benefits of the extra speeds, you are also a little limited on just how you can use all that speed. Not only is watching video just asking for a high bill, but Apple outright restricts some activities such as using FaceTime on the iPad. So just what keeps the 3rd generation iPad from garnering 5 stars? Siri and the A6 chip. The iPad 3 was widely expected to come with Siri, which was one of the big selling features of the iPhone 4S. And the 3rd generation iPad may get Siri with a future iOS upgrade, but for now, the iPad is left with just the voice dictation portion of Apple's voice recognition software. Luckily, the voice dictation portion also happens to be the most useful for iPad owners. But it's the missing A6 chip that really keeps the iPad 3 from getting that extra 1/2 star. The new iPad contains Apple's A5X chip, which includes a nice boost for graphics, but has the same basic processing power as the A5 used in the iPad 2. The rumored A6 was a quad-core processor, which would have been a very nice boost to overall speed for the iPad. Unfortunately, this is one missing feature that Apple can't include in an operating system patch. We'll have to wait for the 4th generation iPad to see what iOS can do with a quad-core processor. iPad 3: Worth the Upgrade? If you are still using the original iPad and looking for any excuse to go with the iPad 3, let this review be all the excuse you need. 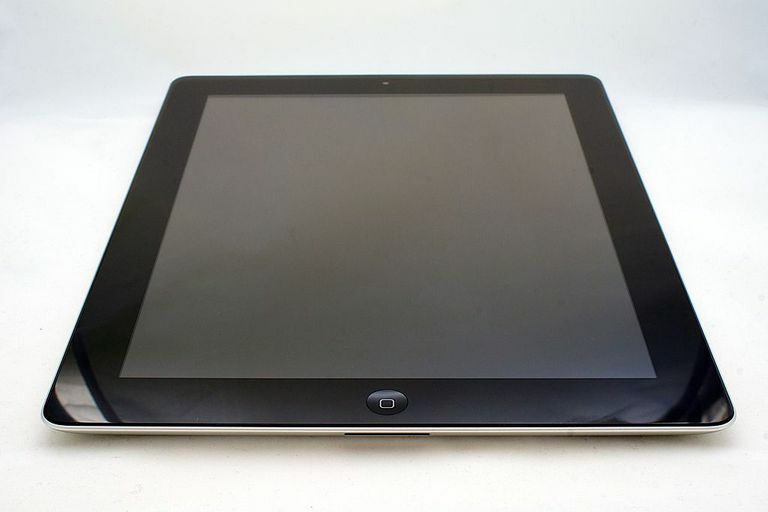 The iPad 3 is light years ahead of the original iPad, with a major boost in graphics, processing power, memory used for apps and data connection speed in addition to those dual-facing cameras. But if you already own an iPad 2, you can easily skip this generation of the iPad. The upgraded graphics are nice, but 99.995% of all apps will still support the 1,024 x 768 display. It will take a few months for the Retina Display to see any major support in the app store since games and apps must be made with both the graphics processor and the upgraded resolution in mind. And by the time we'll really start seeing the benefits of the new iPad, the iPad 4 will be just around the corner.